A half-dozen mystics predict the future of the Seahawks, Bertha, city and county government and more. Perhaps it doesn’t take a psychic to predict that in 2016 Bertha will continue to struggle and Seattle will still be wrestling with growing pains. But how about this: The Seahawks will win against the Vikings this weekend, County Executive Dow Constantine will emerge as a wise leader and an expensive scandal — possibly involving a crooked developer — will come to light in late spring or early summer. That’s what Seattle-area mystics are predicting. We consulted a half dozen local psychics and mediums to find out what 2016 might hold, at a time of year when everyone from financial analysts to real-estate experts to meteorologists are forecasting the future. Barker (TheDivineHand.com) looked at numerous Internet photos of the hands of local leaders and celebrities to inform his prognostications. Here’s what he — and our other experts — saw. Auntie Sindy Todo, a root worker, card reader and bone thrower (TodoMojo.com), started watching football for the first time over this past year and now has an altar for the Seahawks in her West Seattle home. “There is something absolutely phenomenal about this team and their connection to their own spirits,” she said. She predicts their defense will be strong and they’ll win this weekend with a score of 20 or even 30-something to the Vikings’ 7. Not many of the mystics we consulted were willing to call a Super Bowl win for the Hawks — except for Pamela Jensen, an intuitive psychic who has been featured on a number of local radio-talk shows and has been doing readings for 24 years. She said the Hawks will go all the way. Barker did not say whether there was Seahawks victory or not, but he did say that the way quarterback Russell Wilson extends his middle finger while his index finger is relaxed shows that the man is a “genius” and a “geek,” prone to overthinking. “That dude can ruminate, ruminate, ruminate and sometimes he gets trapped in his head,” Barker said. Todo, whose practice involves clearing out negative energy and focusing on the positive, is alone in predicting that problems with Bertha — the tunnel-digging behemoth that’s been stalled for two years — are over. “She’s not going to get stuck again,” she said. The more interesting question about Bertha, for her, concerns the “deep ancestral roots of the city” that Bertha is cutting through. Todo believes there will be some major artifact uncovered and also see ties to the city’s Asian, Native-American and Italian forbears. 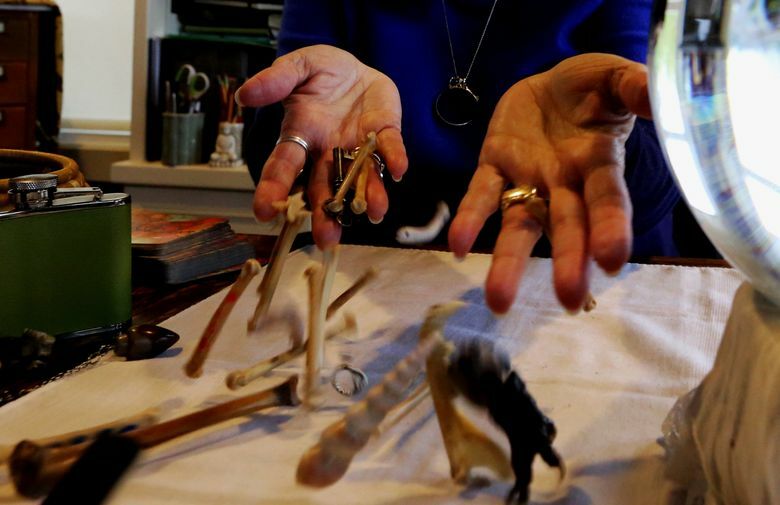 René Aceves, a Tarot card reader and astrologer who can be found at Gargoyles Statuary in the University District, has a different forecast after doing the city’s horoscope. “The underground tunnel could continue to be plagued by problems,” he said in a telephone interview this week. He sees issues with flooding and decay. Two seers indicated the tunnel-drilling saga may resolve in unexpected ways. There’s no question that Seattle is among the nation’s fastest-growing cities and the related construction hassles, rising rents and traffic problems will not disappear in 2016, and most of our consultants agreed. Amazon will continue to grow and, along with other tech companies, will attract a large number of educated and talented young people. Peil said that while the newcomers will make the city more culturally and ethnically diverse in a delightful way, the influx of youth will bring both opportunities and challenges. The transplants could, for example, be a little immature and expect others to clean up after them and that could cause problems for people more established in their careers, she said. On the other hand, edgy or innovative businesses, such as playgrounds for adults or cereal bars for folks who want to “hang out with people” while eating breakfast, could do well, Peil said. The Rev. 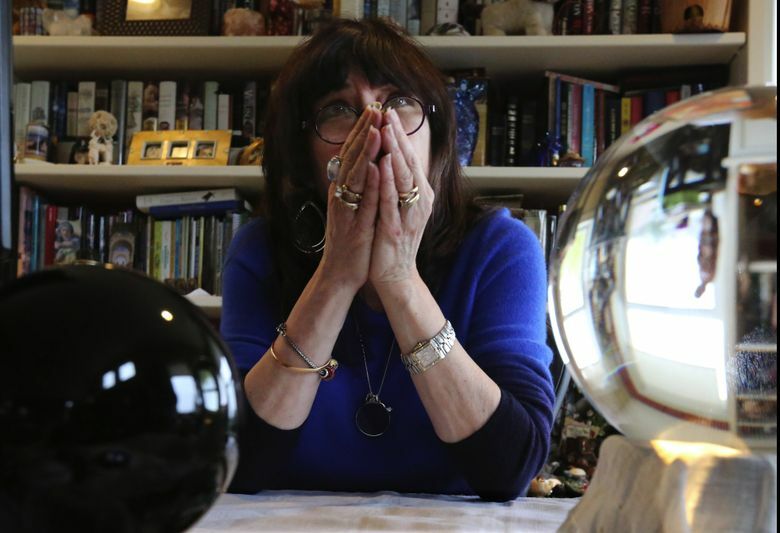 Judith Laxer, a card reader, hypnotherapist, spiritual counselor and shamanic healer, says the worst of the disruption is over, though we may not feel it yet. She says the city will be blessed by the influx. It appears to several diviners that the city will face a large, and potentially expensive, scandal in late spring or early summer. It could involve either the misappropriation of funds or a crooked developer, the seers say. Likewise, the position of Pluto in Seattle’s horoscope shows “Something that has been swept under the rug will come to light,” said astrologer Aceves. The city’s chart also suggests that problems with infrastructure will be laid bare and “developers could be discovered to be mixed up in corruption,” he said. For the most part, Seattle and King County’s leaders are well-intentioned and will end the year with public respect, the mystics say. Mayor Ed Murray’s hand shows he is comfortable with anger and “big movements, loud language and hot sweat,” according to Barker. He values tangible action and may lean, sometimes, toward a dictatorial style, but the way he holds his index and middle fingers indicates he is principled and receptive to others, Barker said. King County Executive Dow Constantine could very well emerge as the undersung leader of the year, according to Barker. His hands show that he is balanced, practical and wise, Barker said. When reached for comment on the phone, Constantine said that while he believes in fortune telling “not at all,” he was gratified to hear the assessment.